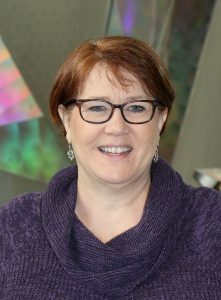 Arlene Grebasch has become an Administrative Specialist II in the Department of Aerospace Engineering. She will assist interim department chair Alric Rothmayer while managing office and employee duties, and assist the department in support of student and faculty needs. Previously working in Human Asset Management at Workiva in Ames, she is looking forward to the transition from a private company to the public environment.